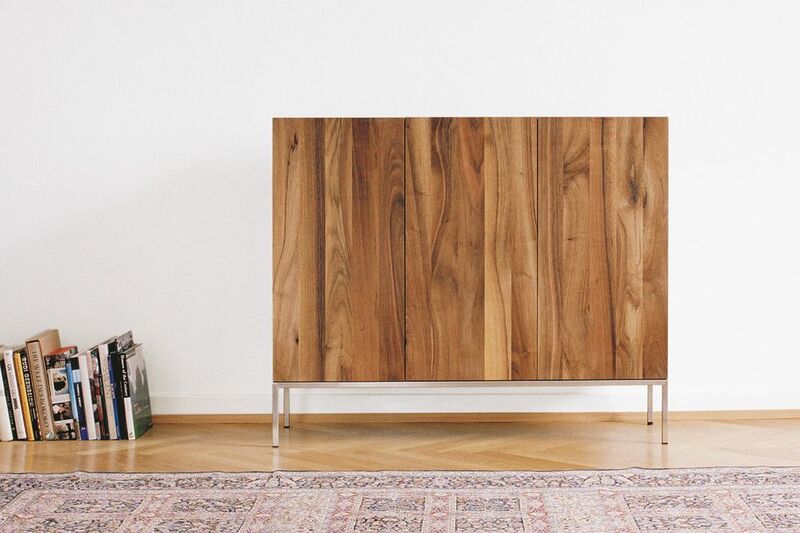 The sideboard Fariba is particularly striking with its vertical display of solid wood grain. Fariba elegantly highlights the combination of solid wood and a seamless stainless steel frame. The sides of the drawers have an end-to-end bevel functioning as handle. Fariba is also available in a two door version and with a powder-coated steel frame.